Turkey is a changing and dynamic economy and GDP per capita has more than tripled in the last 10 years. The country's healthcare economy is changing tremendously, thanks to an ageing population and near-universal social security coverage. With rising economic prosperity and the ageing population the government has been systematically increasing healthcare infrastructure. However, Turkey is entering a new phase of growth thanks to government targets of reducing the healthcare trade deficit by encouraging local industry and increasing the proportion of drugs produced domestically. In light of these developments CPhI conducted extensive research examining the prospects of the country's pharmaceutical sector ahead of the new regional trade show CPhI Istanbul. We approached all the major companies in the region to get an overview of their strategic positions within a market that already boasts some 300 different pharmaceutical companies - who, between them, produce around 8,000 different drugs. With an annual turnover of $7bn and a growth rate of 6.5% in 2012, the domestic pharma market is Europe's sixth largest market and 16th largest globally. Turkey has traditionally focused on generics manufacturing, with profits generated from a typically brand-oriented generics business. 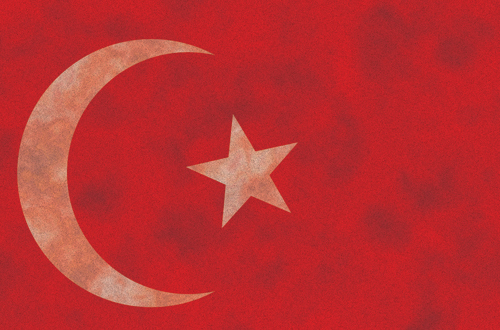 “The true strength of Turkey's pharmaceutical industry is production. There are a lot of high-tech modern production facilities, approved by both the EMA and the FDA,” says Sirin Deha, general manager at Istanbul-headquartered ERA Pharma. Formation of collaborations and partnerships will be key to Turkey's R&D sector, and international companies are showing an increased interest to break into the Turkish market through partnerships. Government support of generics favours local manufacturing of finished formulations in Turkey. Berko Pharmaceuticals stated that the government covers over 80% of total medical expenses. However, in order to minimise impact on the public budget, Kemal Yildiz, general manager at Berko Pharmaceuticals, says that it has thus been difficult for pharmaceutical manufacturers to produce anything other than generics - leading to a regional industry struggling to remain profitable. Consequently, some companies have moved into niche areas, including over-the-counter drugs and oncology. 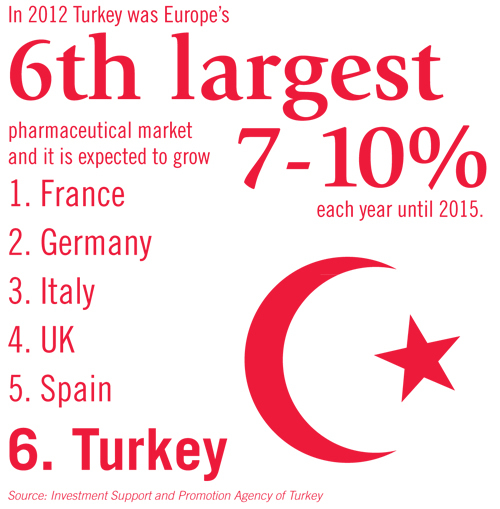 Exemplifying this emerging trend, around 93% of oncology pharmaceuticals in Turkey are currently imported. Moreover, the government has prioritised domestic production of oncology drugs. This has led to several companies investing in the field, including Onco Koçsel, having recently established one of the industry's largest manufacturing plants for these products. “This will be a unique investment for the country since it will be the sole pharmaceutical plant to produce a broad array of oncological products,” notes Tugçe Koç, general coordinator, Onko Koçsel. This new production facility could take Turkey into the realms of leading the global oncological drug field through the 184 different products that it seeks to develop in its portfolio. To support such a project, the government offers corporate tax relief, access to institutions including the Scientific and Technological Research Council of Turkey (TÜBITAK) and R&D expenditure support, which for accredited R&D centres, covers 60% of staff expenditures. If the government is to successfully fulfil its desire for domestic pharmaceutical manufacturers to develop super generics and biosimilars, further support will be pivotal. The Pharmaceuticals Manufacturers Association of Turkey (IEIS) intensively lobbied for government incentives and as such, the domestic pharma sector now enjoys one of the most comprehensive incentive schemes. “For these reasons, in the coming five years we will continue to see multinational corporations invest into the Turkish market ... at present, we know of several large global companies that are looking to make buy-ins to the Turkish market,” says Gökhan Gökçe, partner at law firm YükselKarkınKüçük. A considerable challenge within the Turkish pharmaceutical industry is the government's price referencing system and fixed euro-lira conversion rates. The price referencing has been deemed a highly negative aspect of the industry by all the pharmaceutical companies that we talked to, highlighting the significant impact this has on the market. These factors, “alongside regulatory change, are the sources for the decline in industry profitability,” says YükselKarkinKüçük. As part of the system, the government compares costs of production ex-factory prices in other countries (currently Portugal, Spain, Italy, Greece and France). The lowest price is set as Turkey's reference price and a percentage of that is determined as a ceiling price, which according to the IEIS, means Turkish prices are “well below their European counterparts and that puts enormous pressure on profitability”. After the price-referencing obstacle, Turkish pharma manufacturers are met with much larger issues in the shape of the euro-lira exchange rate used in the price calculation. The government has fixed the price of the euro to approximately 1.95 lira, despite being worth approximately three liras, meaning further discounts and resulting in an industry that may struggle to remain profitable. Professor Erman, Koç University says that now “even the industry's largest players are in survival mode. They need to maintain their profitability”. Larger profits will pave the way for the domestic industry to invest in both technology and R&D, which the IEIS notes will add to Turkish pharma's capacity to “introduce value-added products for the global market”. A further, somewhat unintended, consequence has been the move to develop products outside the price-referencing system. Kemal Yildiz, Berko Pharmaceuticals argues that this has influenced Turkish pharmaceutical manufacturers to strengthen their research and development departments. Turkish manufacturers are bringing value-added products through their pipeline, but domestic sales are hindered by the current price referencing system - with combination products only reimbursed if they are below the level of the individual component products. As Turgut Tokgöz comments, this does not recognise the value created in the new product and “ironically, most of these products have been developed under TÜBITAK grants, so they have R&D support from the state”. Moving towards an export driven market? With the domestic market suffering reduced margins and profitability, manufacturers are expanding their horizons and are looking at new opportunities for growth, particularly turning their attentions towards exports. This approach is also well supported by the Government, as it will help to reduce the country's trade deficit. Currently, Turkey exports to 150 different countries but overall the export numbers are low considering the market potential. However, due to absence of EU membership it is difficult for manufacturers to make inroads into the European and US markets, as often a second release of products is required, and many manufacturers are choosing to take a partnership approach within Europe. Although it is clear that considerable difficulties are present for companies looking to supply drugs domestically within Turkey, this has had the knock-on effect of increasing the dynamism in the market and improving overall competitiveness of the sector. As a result, the country now boasts a highly price efficient manufacturing industry (far cheaper than those in the West) coupled with comparable regulatory standards. If price conditions ease this should provide the right environment for a burgeoning industry. However, beyond the domestic market niche products offer significant avenues for greater revenues for companies operating within Turkey. What we witness in the next few years should firmly establish Turkey as the definitive player and supplier of drugs across the MENA and CIS regions, with growth reaching even as far as the Baltic states. Ultimately, the country will be aiming, like its larger Indian competitor, to begin supplying directly to Europe and even the US.